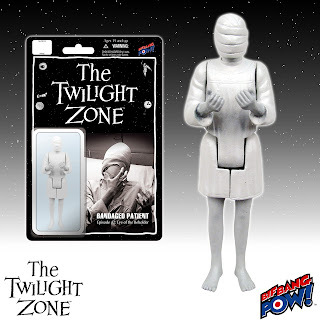 You are about to step into another dimension – a dimension of sight, a dimension of sound, a dimension of mind, a dimension of The Twilight Zone 3 3/4-inch action figures series 2 from Bif Bang Pow! 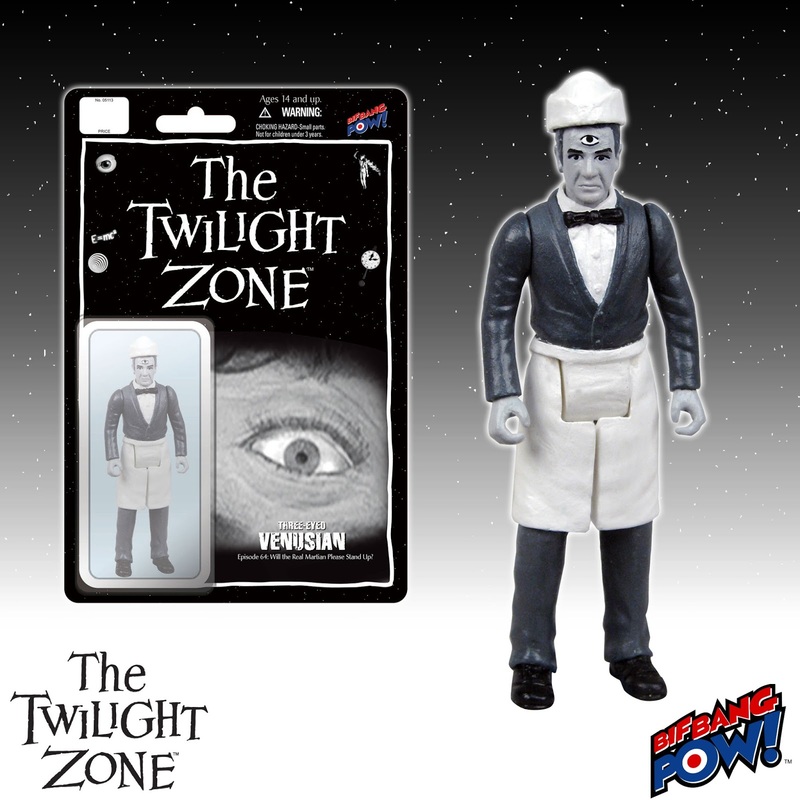 and in stock now at Entertainment Earth! From four episodes of the popular 60s series The Twilight Zone, Bif Bang Pow! 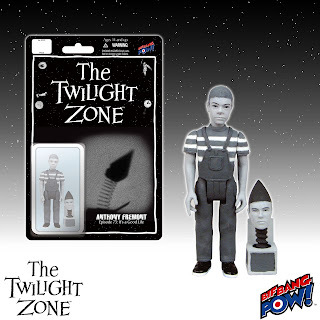 brings retro style black and white 3 3/4-inch action figures, complete with five points of articulation. They say beauty is in the eye of the beholder and it is never so true as in this famous episode. 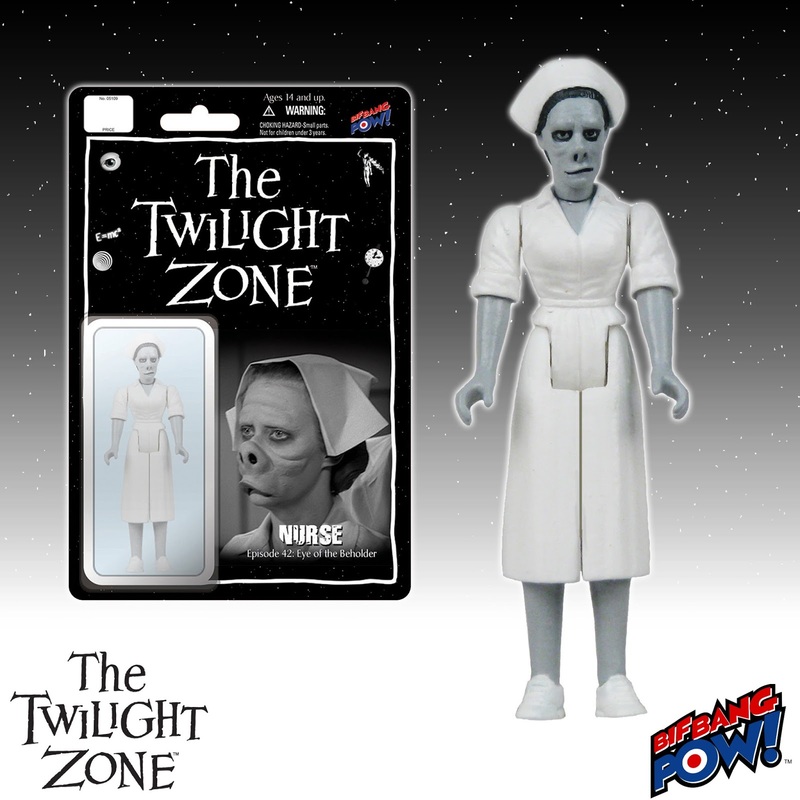 Included is The Twilight Zone Doctor Bernardi 3 3/4-Inch Action Figure, and The Twilight Zone Nurse 3 3/4-Inch Action Figure, with their twisted and gnarled faces that are, by all intents and purposes, not what we would consider conventionally attractive. There is also the The Twilight Zone Bandage Patient 3 3/4-Inch Action Figure, desperate to fit into her society’s standards. Nothing is mightier than the meek, as proven by Henry Corwin, appearing here in his Santa Claus costume! 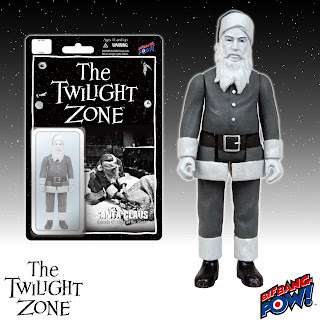 Except this year, The Twilight Zone Santa Claus 3 3/4-Inch Action Figure really will discover the magic of Christmas and what it means to be little yet powerful. Be careful, or this next figure will send you to the cornfield! The Twilight Zone Anthony Fremont 3 3/4-Inch Action Figure, based on the terrible mutant child, comes complete with his jack-in-the-box accessory, who was once Dan Hollins before Anthony turned him into the toy for standing up to him. 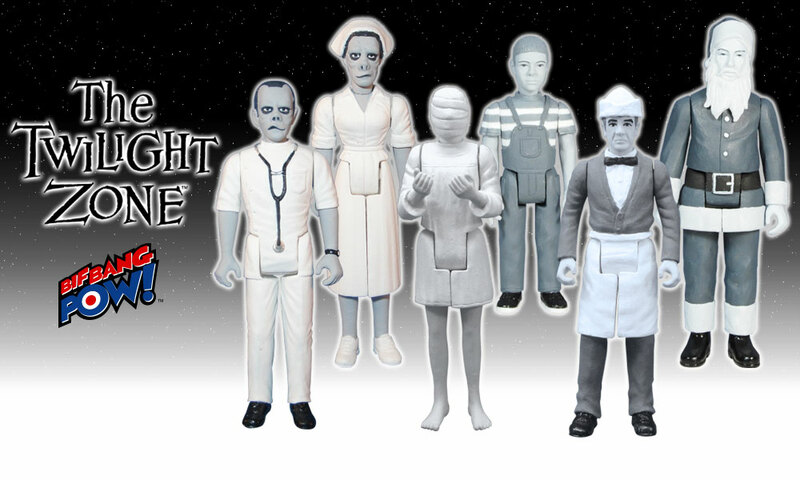 Each figure is a limited edition and comes individually carded and numbered! 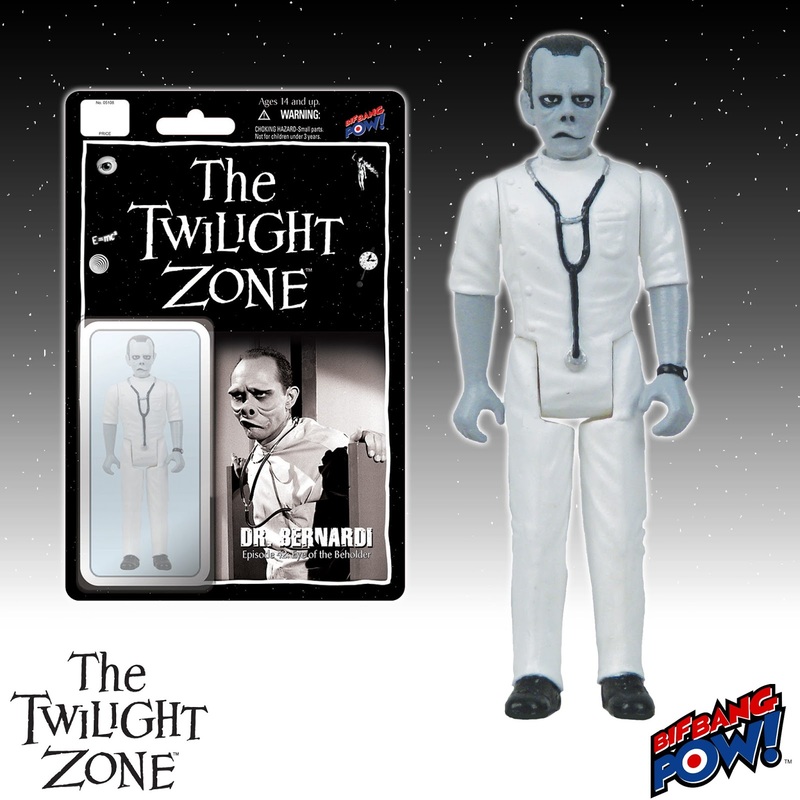 See more The Twilight Zone collectibles from Bif Band Pow! here!